Do you have things stored in your garage or basement that you haven't used in years? Have you been thinking about how to get rid of those things that just take up space? Well don't throw them away! Join in on the semi-annual Woodland Creek Garage Sale (no license fee is required). 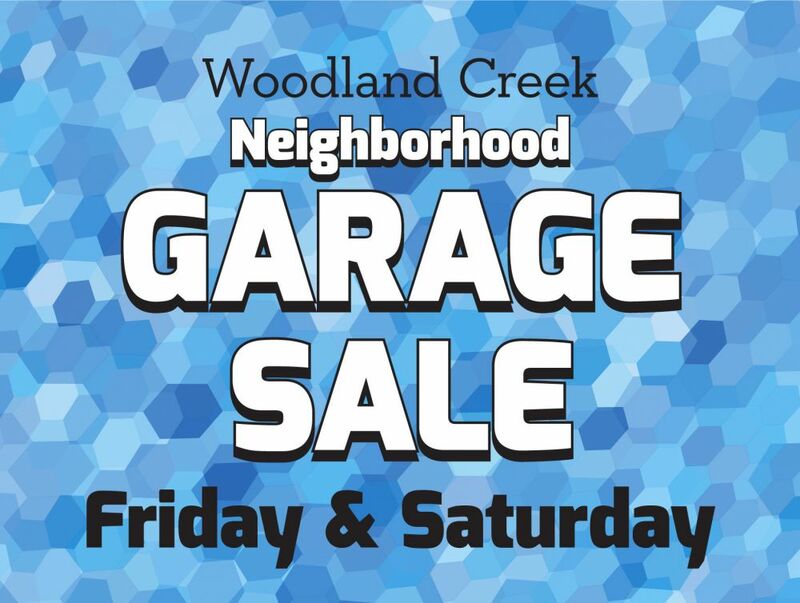 The garage sale will be held Friday, April 26 and Saturday, April 27 beginning at 7 a.m. Ads will be placed in local newspapers, and signs positioned at select entrances to Woodland Creek to spread the word.